Site blocking is one of the enforcement options that Rights Holders can use against web sites offering or facilitating copyright infringement. The aim is to make it harder for consumers to find pirated content so that their frustration with illegal options drives them to use legal alternatives instead. Research conducted by Carnegie Mellon University’s Initiative for Digital Entertainment Analytics (IDEA) found that blocking just one site had negligible impact on piracy rates. Users merely moved to another pirate site. However, when multiple sites – in the case of their research, 53 sites – were blocked; there was a 90% drop in visits to those sites. And there was no simultaneous increase in usage of other unblocked sites. So yes – it works! Most people will have 1 or 2 preferred pirate sites; a lot less will have 54 favorites to try, nor the patience I would imagine. How does site blocking help when pirates exploit the open nature of legal media player software – e.g. Kodi? A ground-breaking injunction was granted in March. The UK High Court agreed to the application by the Premier League to block access to servers (e.g. those accessed by 3rd party software add-ons) rather than a website. What’s more, the blocking can happen in real-time during football matches. For now, this injunction only covers the remaining fixtures until the season ends in May. But if successful, it’s highly likely that a request will be made for the 2017/2018 season. It will also be interesting to see if other jurisdictions adopt this dynamic approach. How to increase the impact? To increase the effectiveness of site block using an intelligence based approach is beneficial. Working with a partner who can identify which of the many sites (e.g. live streaming, torrent, cyberlocker, web video) have the highest volumes ensures that you’re spending your anti-piracy budget wisely. Blocking sites with the most traffic provides you with a greater return on your investment. In addition to the intelligence based approach, being able to respond in real-time is critical for live sports, as the value of the content is at its while it’s being broadcast. 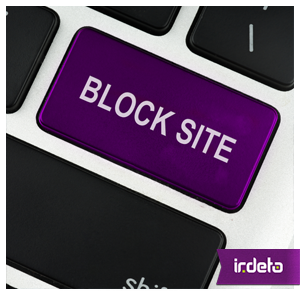 Site blocking is just one of the tools in the anti-piracy toolkit. Successful Rights Holders have realized that a combination of technology and services are required. Latest technology such as forensic watermarking and sophisticated web crawlers should be complemented with detection, investigation and enforcement services for the best result. This entry was posted in Media & Entertainment and tagged content rights holder, Irdeto, Kodi, online piracy, rights holders, site blocking. Bookmark the permalink.